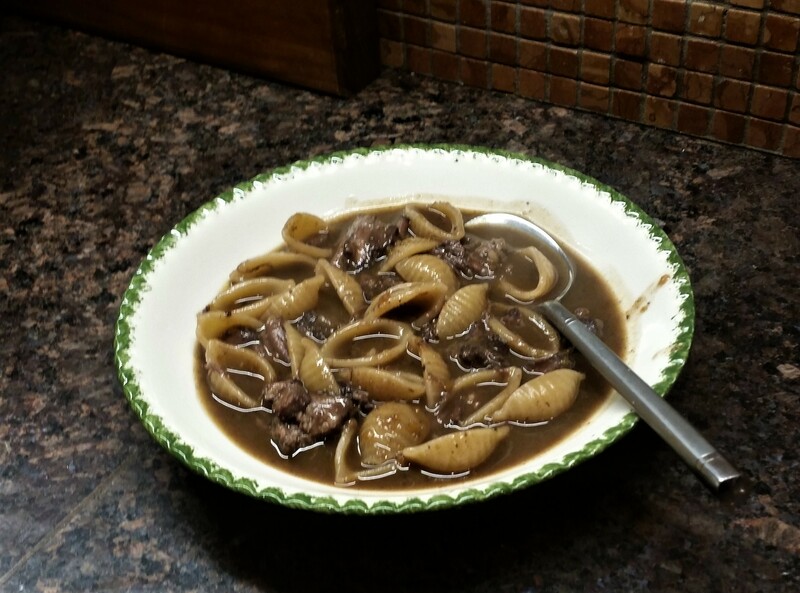 This soup is dark, hardy and meaty. 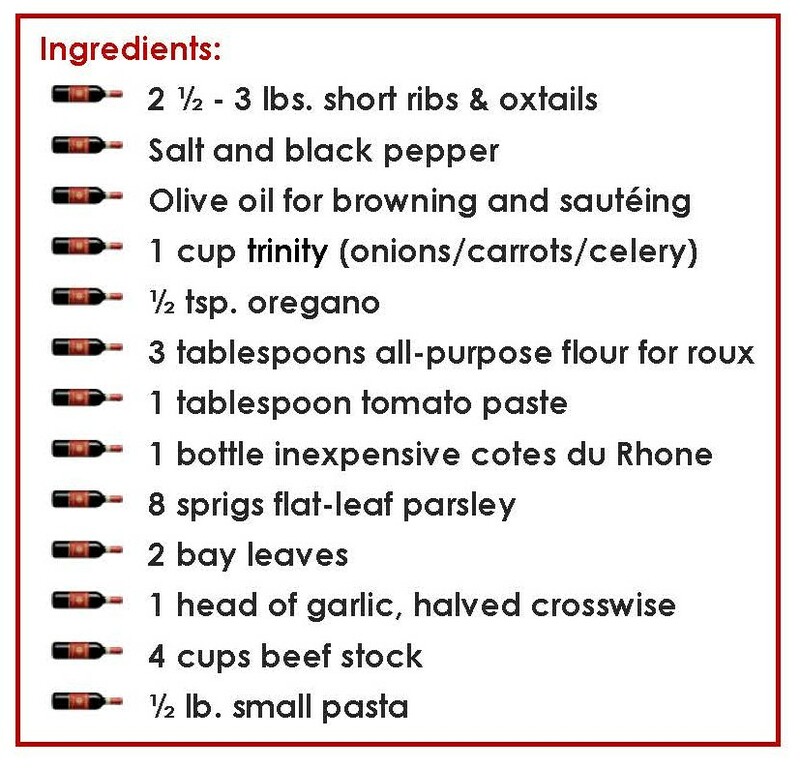 Cotes du Rhone is always recommended for meat soups and stews. It doesn’t have to be expensive but should be good enough to drink. Preheat oven to 350°. Season meat with salt and black pepper. Heat oil in a large Dutch oven over medium-high heat. Working in batches, brown and transfer to a plate. Pour off all the drippings from pot and return 3 tablespoons to the pot and use 3 for the roux. In separate pot add 3-4 tbsps. drippings and 3 tbsps. flour to make the roux. If it’s too dry add some more drippings or wine. Add trinity and oregano to Dutch oven and cook over medium-high heat, stirring often, until lightly browned. Then add the tomato paste and blend. Add the roux and stir until well combined. 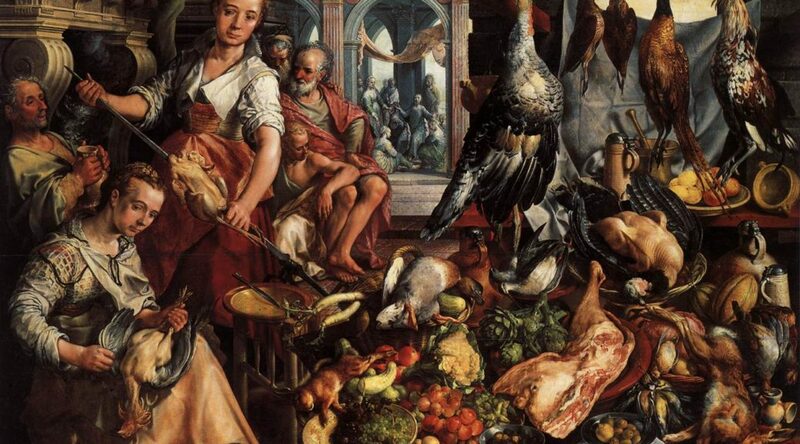 Stir in wine and blend, then return the meat with any accumulated juices. Bring to a boil. Add all herbs and garlic to pot. Stir in stock. Bring to a boil, cover, and transfer to oven. 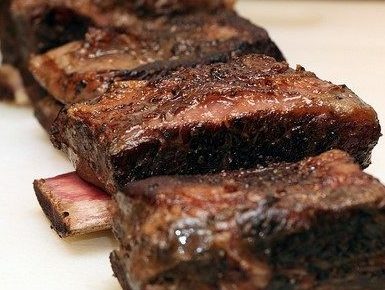 Cook until ribs are tender, about 1 hour 45 min. 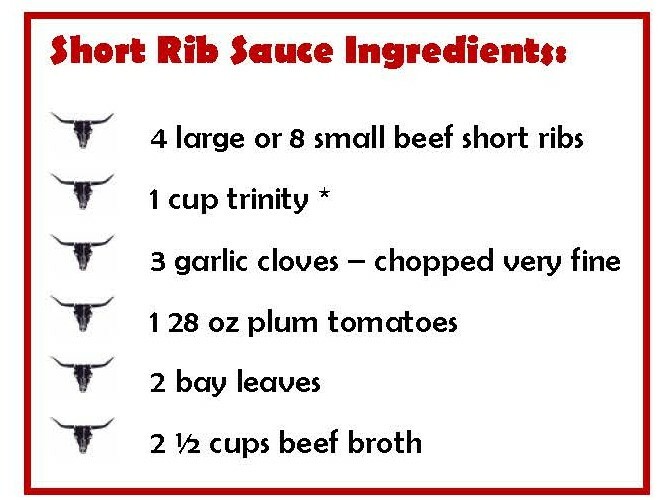 Transfer ribs to a platter and remove the meat from the bones and discard the bones. 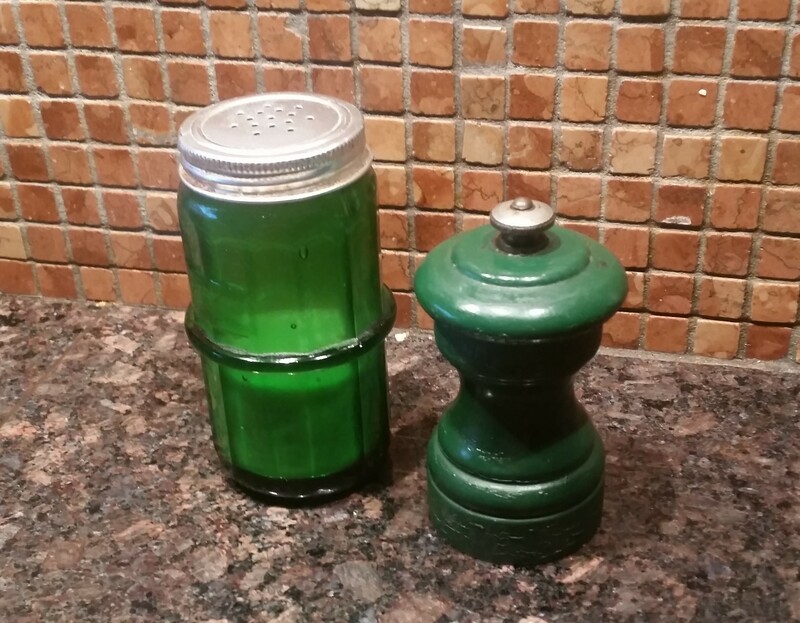 Strain sauce from pot or remove herbs, garlic, etc. with a spider and discard. Add 8 cups of water to the pot. Stir and bring to a boil. Add the pasta, cook until al dente and serve. 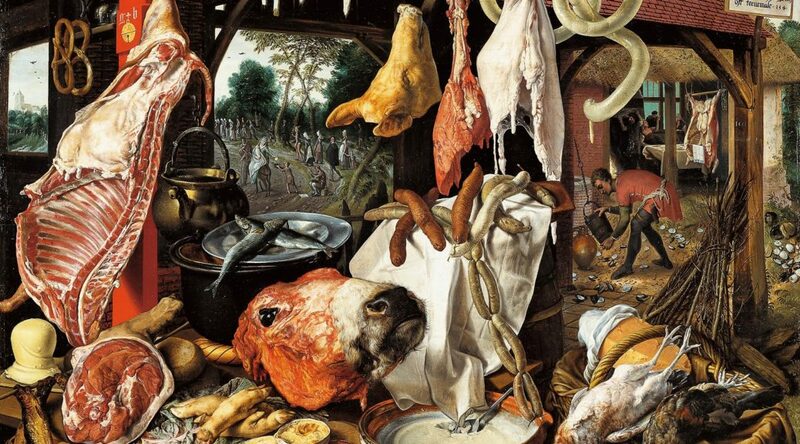 This is good served with a little prepared horse radish or parmigiana cheese or both. This is a hearty, rich pasta sauce. It may need a long time to simmer but it’s worth the wait. 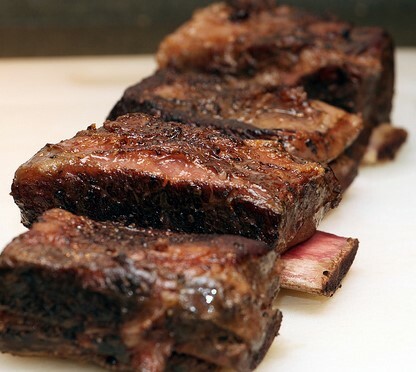 Season ribs with salt and pepper and allow them to come to room temperature. Deeply brown the ribs on all sides and remove from pot. Sweat 1 cup trinity and the garlic. 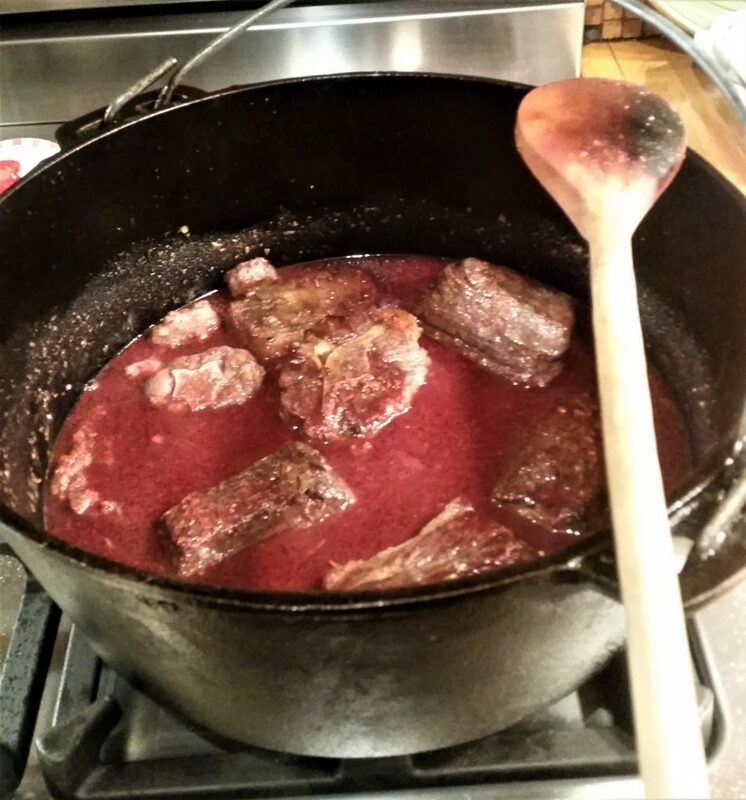 Add the plum tomatoes, beef broth, bay leaves and return beef to pot. Simmer 2 1/2 hours. Remove beef, remove bones, shred meat and remove any fat. 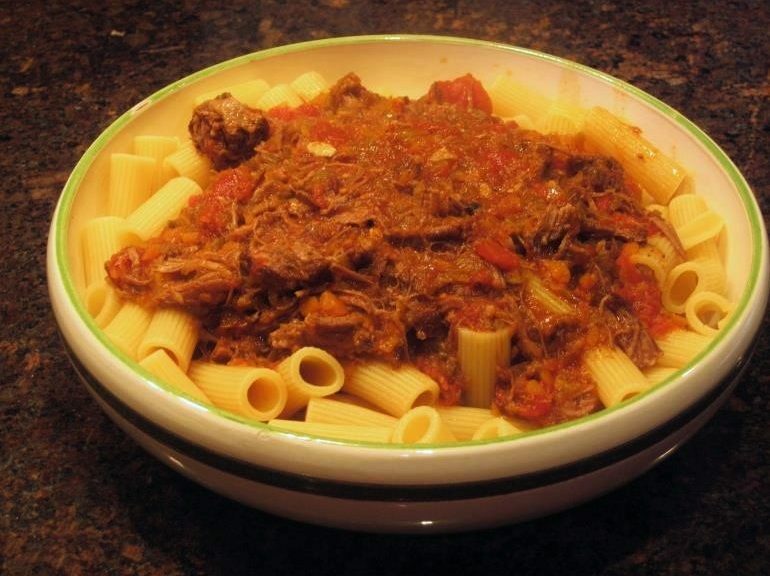 Put the shredded beef back in sauce and simmer for 15 minutes. Serve with your choice of pasta and Parmigiana cheese. 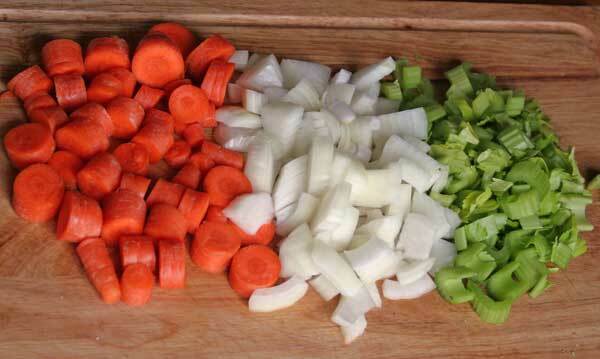 * Trinity – Equal parts chopped carrots, onions and celery – for this recipe it’s 1/3 cup of each. Cook on a low heat until veggies soften. 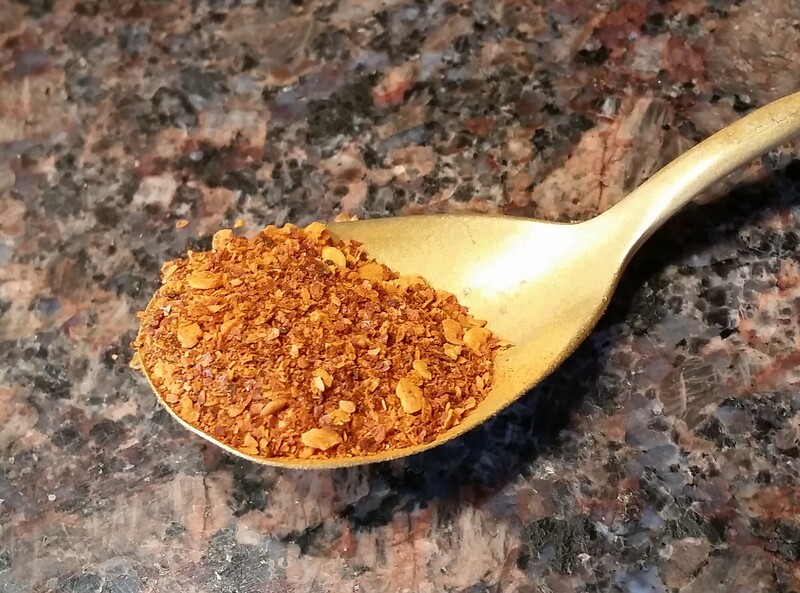 Powdered red pepper – Grind standard red pepper flakes in a blender until powered, Basilicata style. Be careful not to inhale when you uncover the blender or you’ll cough like a cat with a hairball. 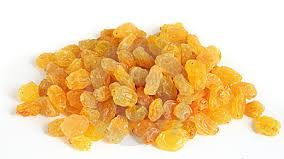 Raisins – If a recipe calls for raisins never use black ones (they just don’t look appetizing.) Always use golden and you can alternate with dried currants. Ravioli – My mother, aunts and grandmother never used anything but a ricotta mix for stuffing. Since we never ate in Italian restaurants I didn’t know they could be made with meat or anything else (pumpkin?) until I was almost an adult. My family’s ravioli were square, large, sealed by crimping with a fork and laid out on cotton sheets on the dining room table and the bed to dry before cooking. You can get good ones at Piemonte on Grand near Mulberry Streets or http://www.pastosa.com/. 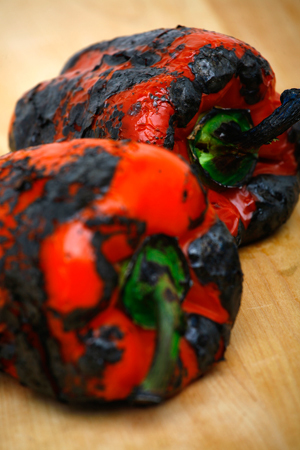 Roasted Peppers – Char peppers over a gas burner set on high, turning frequently, until skin is blackened and blistered on all sides. Transfer to bag or a bowl and cover tightly; let stand for 10 or 15 minutes. Rub skin off peppers with the back edge of a knife (without rinsing), remove and discard cores and seeds. Don’t worry about some of the black char remaining on the pieces. Rustica – If, for instance, the recipe says peel, seed and finely dice tomatoes and you don’t have time, don’t peel or seed, just give them a rough chop and add the words “ala rustica” to the name of the dish. It means “country style” so you can avoid a lot of fussiness. 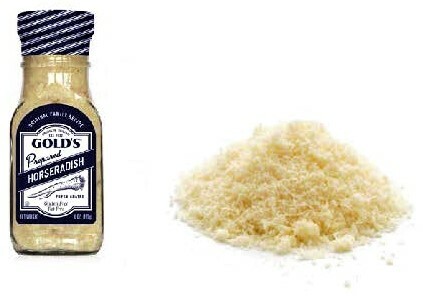 Salt & Pepper – It goes without saying that it should be added in layers as you add ingredients to a recipe. 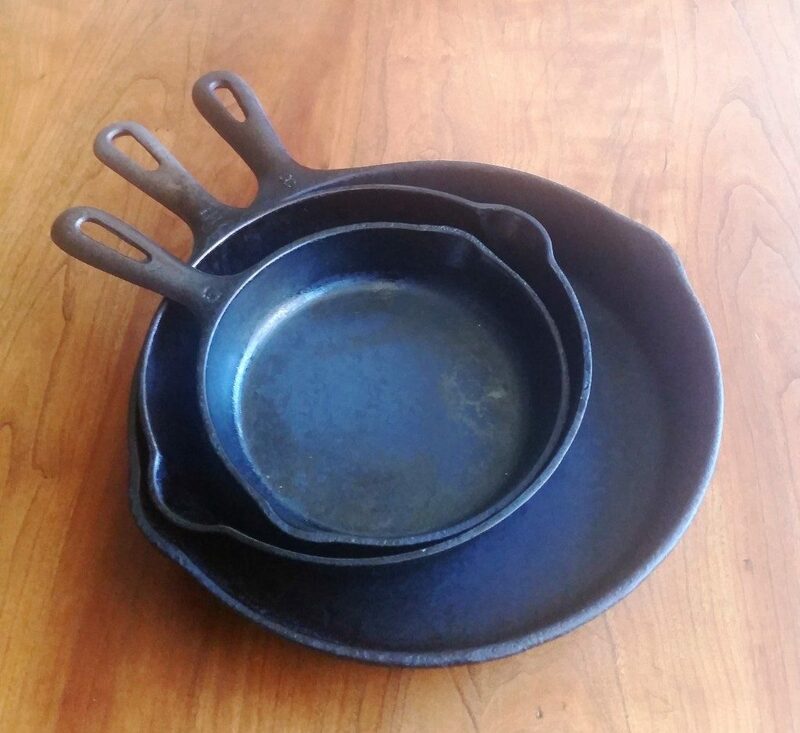 Seasoning a cast iron pan – Pre-heat your oven to 350 degrees. Coat the cooking surface of the pan with a thin layer of Crisco and put it in the oven, upside down, for 1 hour. Put a foil covered baking sheet under it to catch any drippings. Let it cool in the oven for about another hour and it’s done. If it’s sticky, heat it for another ½ hour. If it’s not an even coat, do the whole process again. 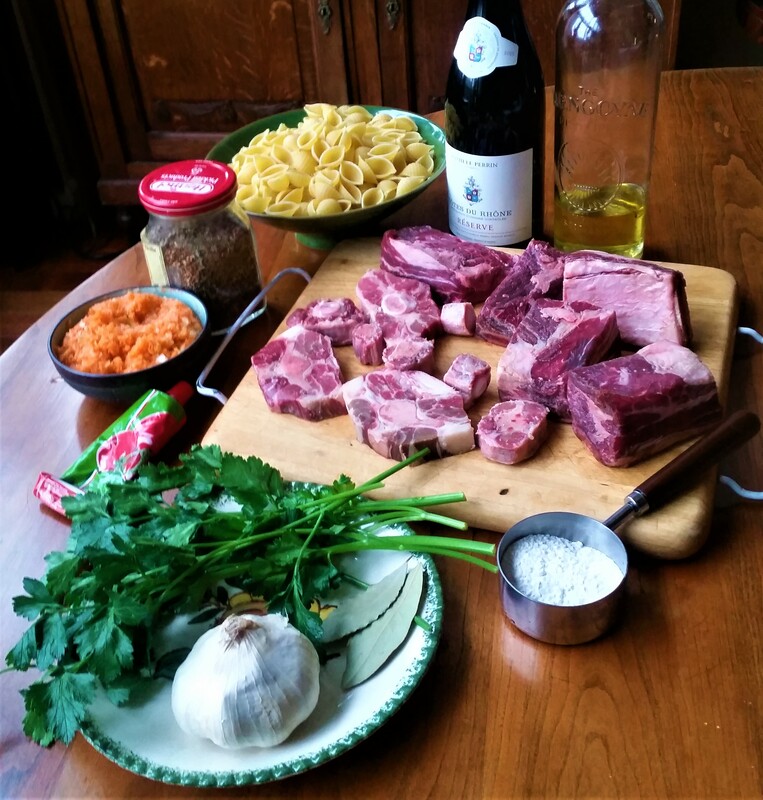 Stew – If wine is called for in red meat stew, Cote du Rhone is recommended. 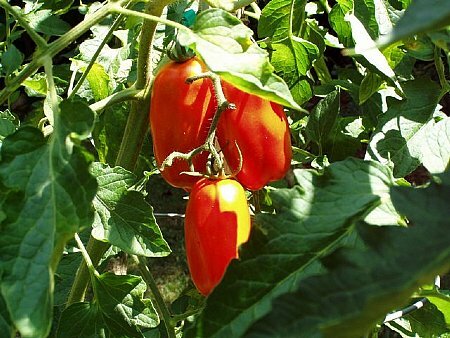 Tomatoes – More than acceptable to use canned if they are San Marzano and there are no other ingredients added to the can. 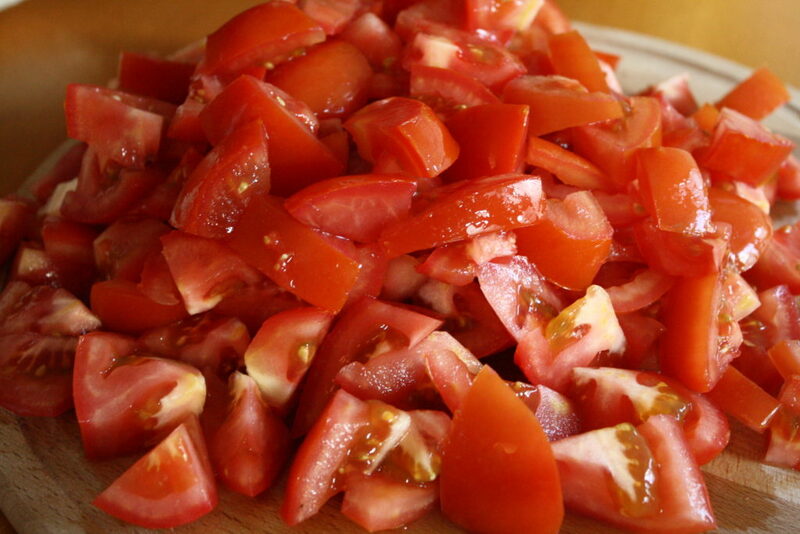 To peel and seed fresh tomatoes – drop tomato in boiling water and wait until the outer thin skin cracks. Peel it. Cut it on the equator and take each half, squeeze and shake out the seeds. Cut off the stem end and remove some of the core. Trinity – (the base for lots of recipes) – Equal parts chopped celery, carrots and onions (with garlic & parsley also known by some Italians as balluto or sofritto). Saute until soft. 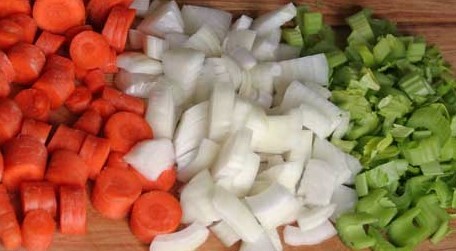 For a Cajun or Creole trinity replace the carrots with green bell pepper.